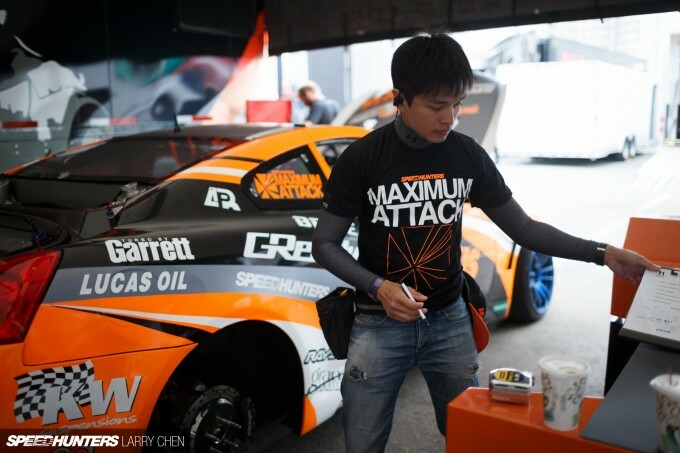 Speedhunters driver Charles Ng has had a busy start to the season, and while he has Formula D set firmly in his sights, there’s been much more going on during the ‘quiet’ times. 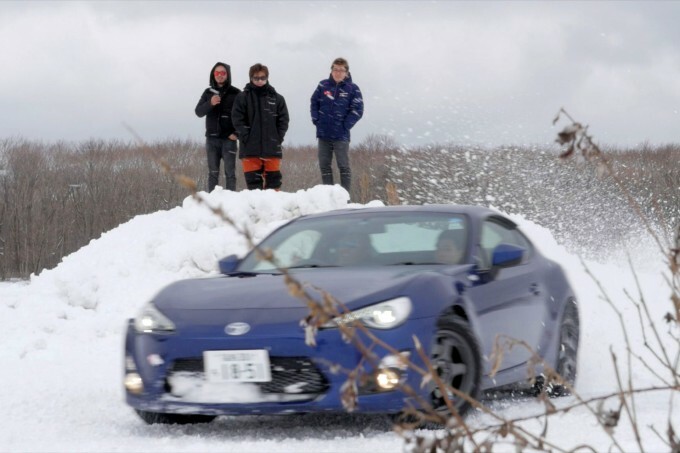 Joining forces with the world famous Team Orange drift team, we co-organized the inaugural SoGun Motorsports Winter Driving School in Hokkaido. 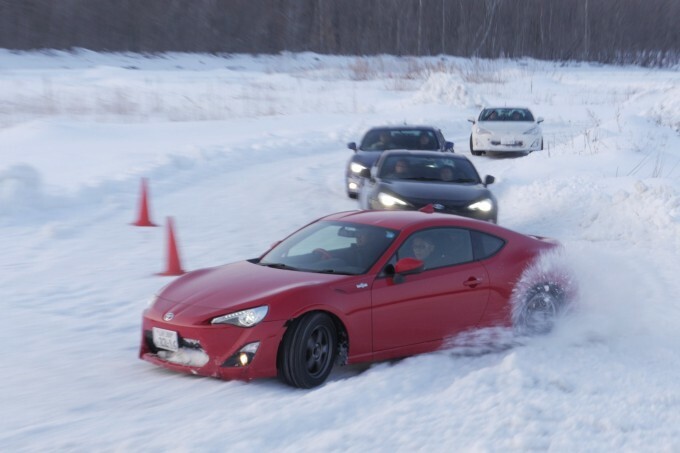 I invited clients from various countries to experience the art of ice driving, because it’s one thing to drive sideways on studded tires, but it’s a whole different level to drive on studless tires on these kind of surfaces. 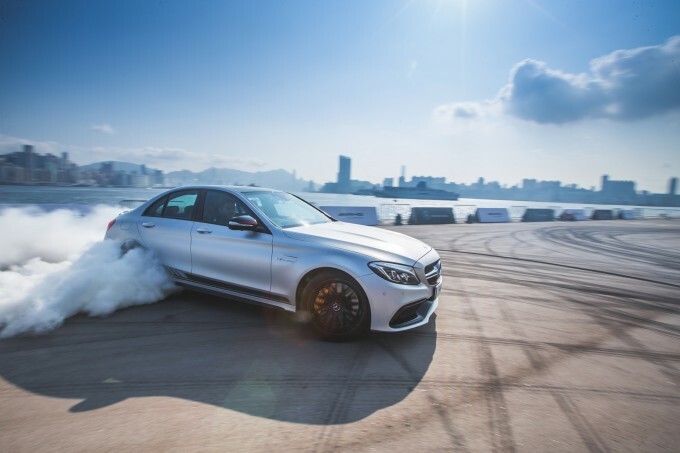 And studless tires are exactly what we urge our students to learn on, as that way they can really understand the dynamics of the car and discover how to drive on the very limit through each and every corner. 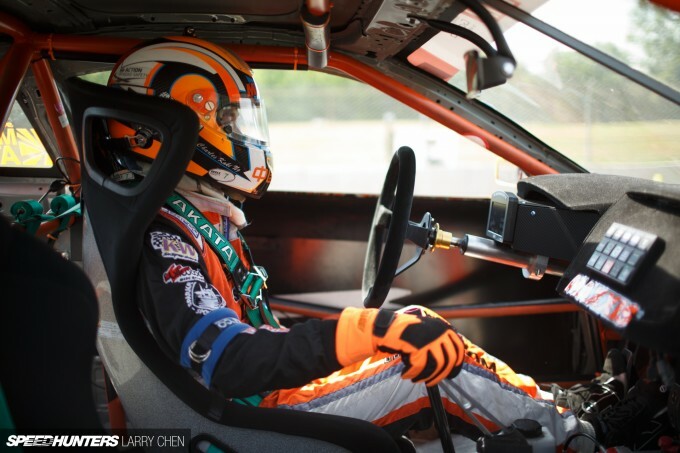 At the end of each driving course we would give out ride-alongs, because nothing beats four-car tandems in Team Orange tsuiso-style, right? Check out the video above for proof! Everybody left with a big smile on their face and you can bet we will be coming back with even bigger and better programs for next year. 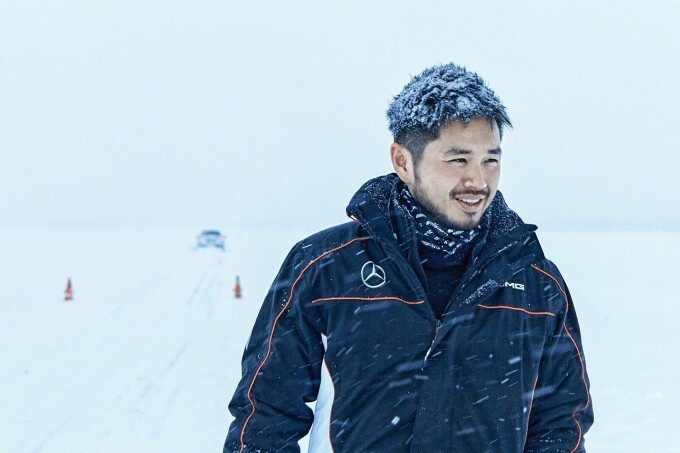 As an AMG Driving Academy instructor, every winter I travel to Arjeplog in Northern Sweden to teach in the AMG Winter Sporting program. Instructors normally do not get to drive that much, but believe me when I say that we make every moment count when we are behind the wheel doing demonstrations. The highlight had to be getting a taste of the E63 4Matic in the ice and snow. 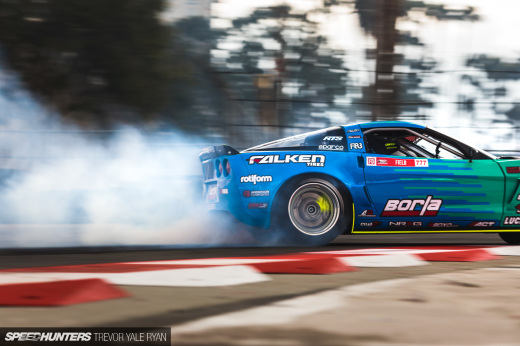 Zero counter-steer four-wheel drift can be very addictive! 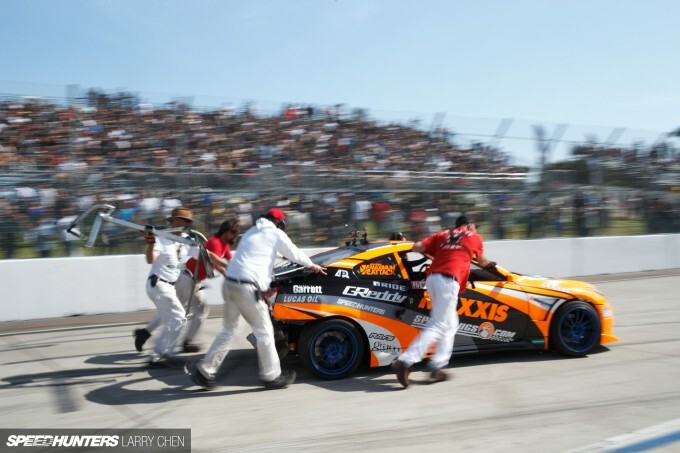 In past Formula Drift seasons, one of my biggest rivals has been engine failure. 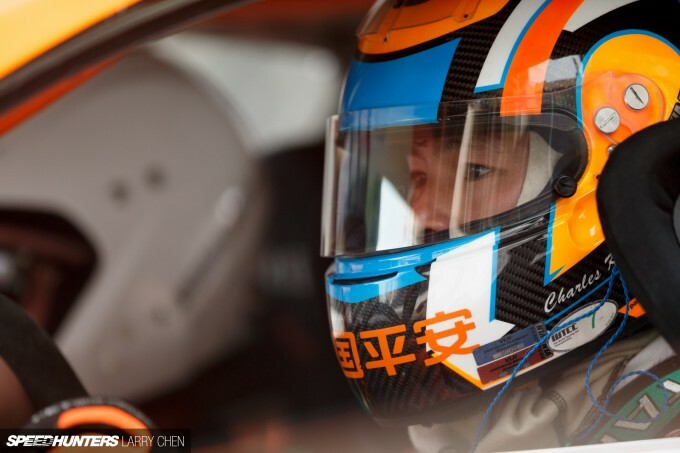 But having the opportunity to team up with a well-established and proven brand like GReddy gave me ample confidence coming into the first round. 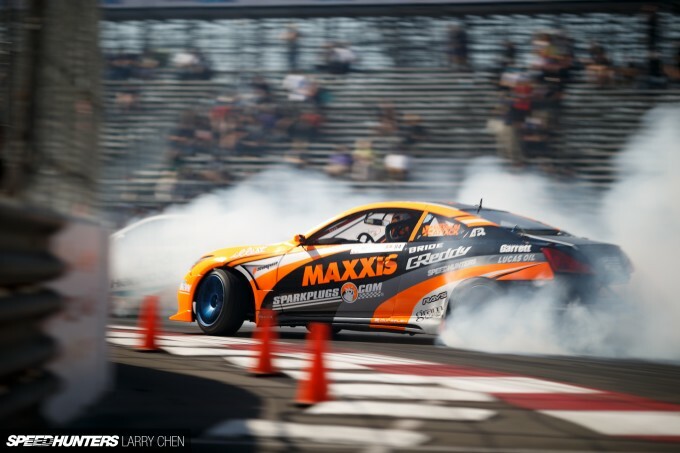 I am also very stoked to work with Maxxis Tires this year. 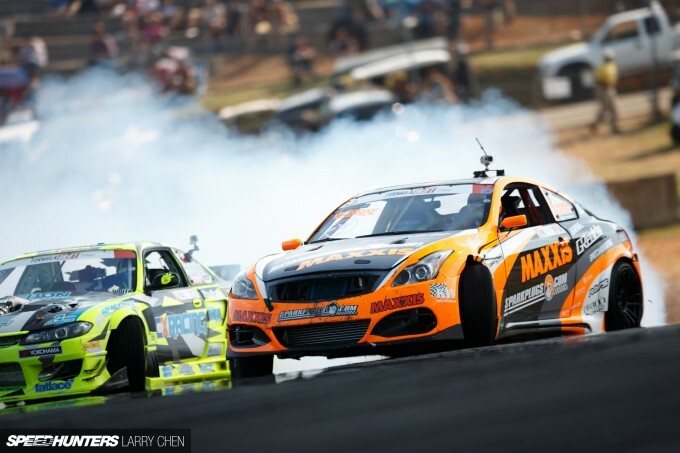 They are very professional and we share the same vision and philosophy in motorsports. 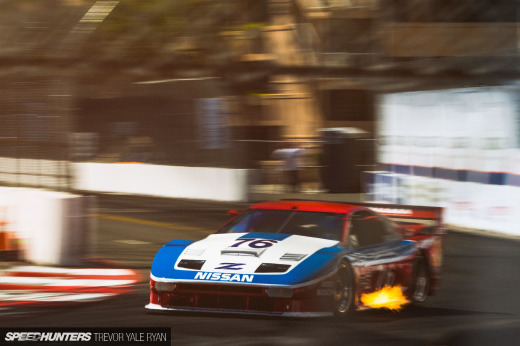 Maximum attack mode at all times. One of my crew members, Terry, understands this very well as he is an amateur Thai boxer. I was really impressed with the GReddy engine on its first outing, and the sound of it is one of the most amazing features. Top 16 introductions always gives me goosebumps. 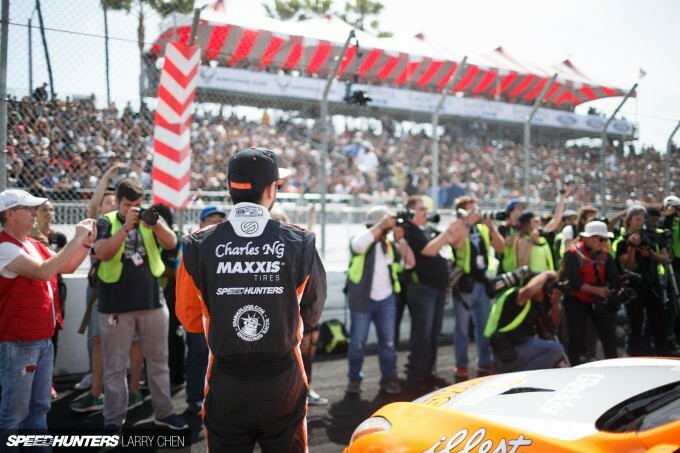 The way the fans cheer out loud – whether or not are they truly supporting you – gives us drivers the positive energy needed to push towards that podium spot! 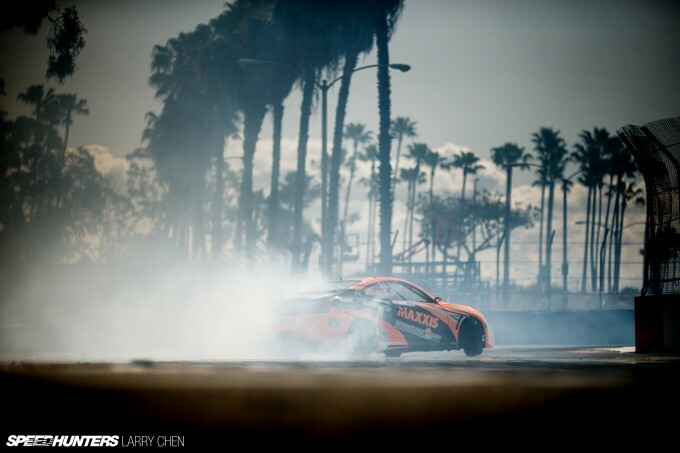 FD judges are constantly pushing us towards the limits, which in the case of Long Beach is the walls. 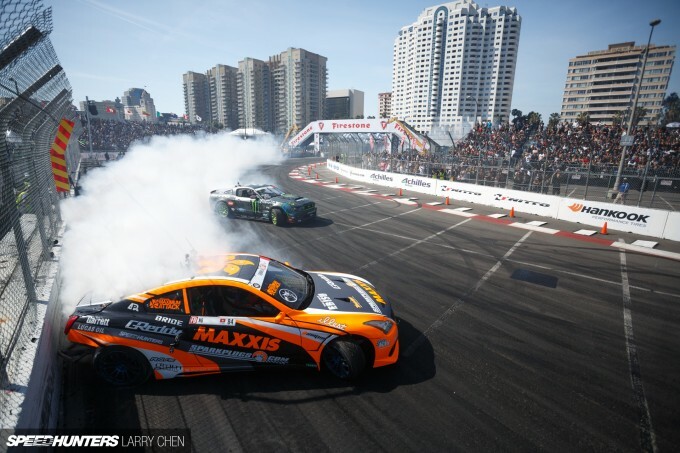 I had a really good lead run going up against Vaughn Gittin Jr., however, I pushed a tad too much and took out the rear bumper and bash bar. The impact ripped the fuel cell apart too, as it was attached to the bash bar. The fuel pressure instantly dropped to zero before the last corner, so we had to get a push back to the pits. For safety’s sake, we then redesigned and upgraded the design of the fuel cell bracket. 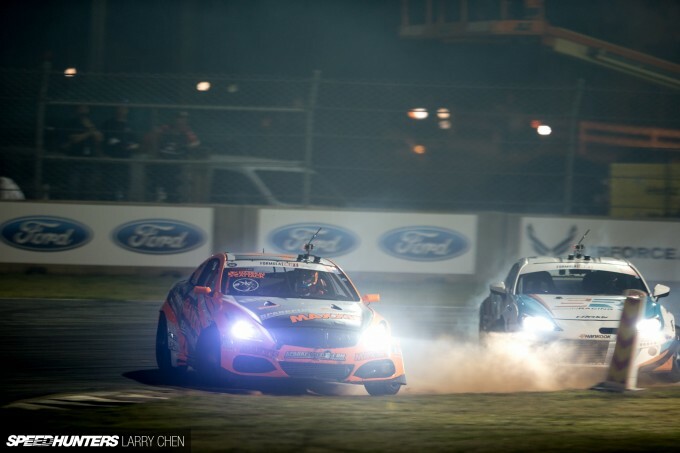 Going into Road Atlanta – which is a fast and technical track based on a road course layout – we knew it would suit the re-powered G37 and my driving style. 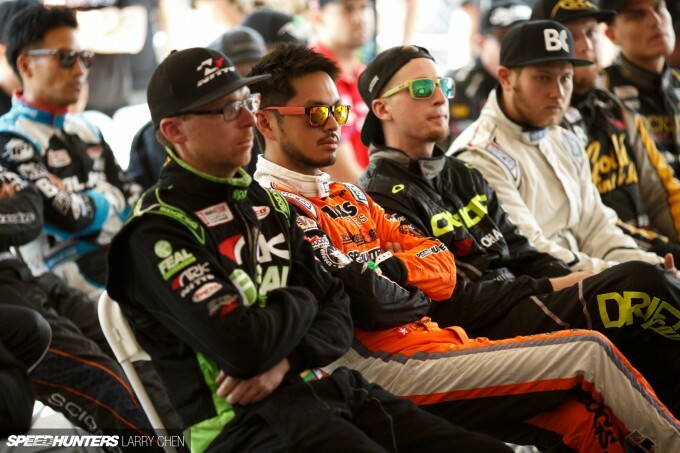 At the drivers’ meeting I realized that these are some of the guys that I have been competing with for quite a while. We all have progressed in different ways, but in the end I believe most of us still remain as good friends. 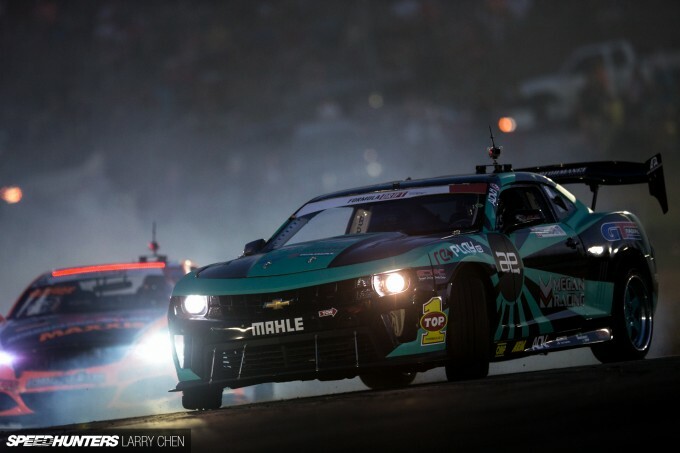 One of the most challenging sections is using all of the engine’s RPM to climb up the hill, then slowing down the car with angle in front of the judges, right after a blind corner. When it’s done right, it looks really good and the crowd loves it. KW has been my long-term partner since my touring car racing days, and they even provided me with an umbrella girl at driver introduction. What’s not to like about that?! 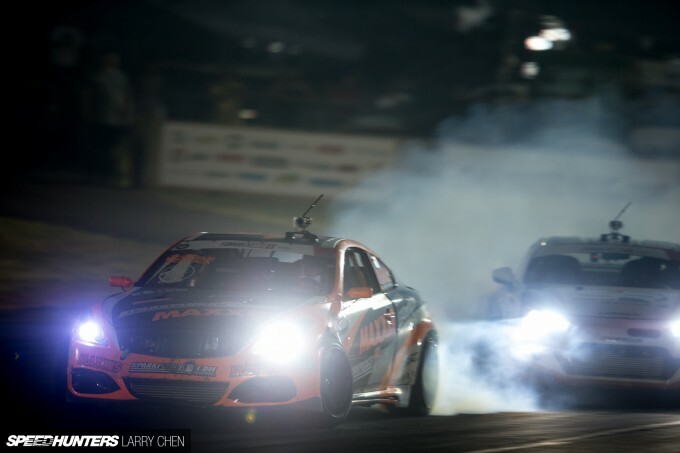 Going up against my GReddy Racing teammate, Ken Gushi, in the Great 8 was the highlight of my night. 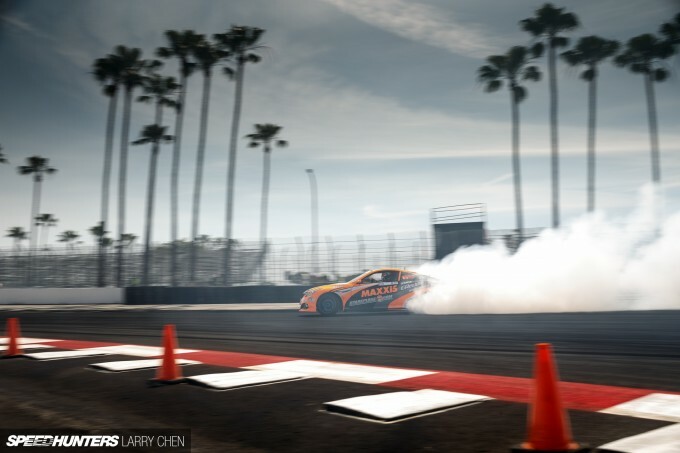 Ken was going very fast and very sideways in his new setup, and he definitely made me work to chase him. In the end it wasn’t a shabby chase run. On my lead run I drove as perfectly as possible hitting all the clips and zones with angle and speed. But Ken was driving like a mad-man and I just could not shake him. He went on to almost win the event, so I congratulate him for that. We need to do it again! 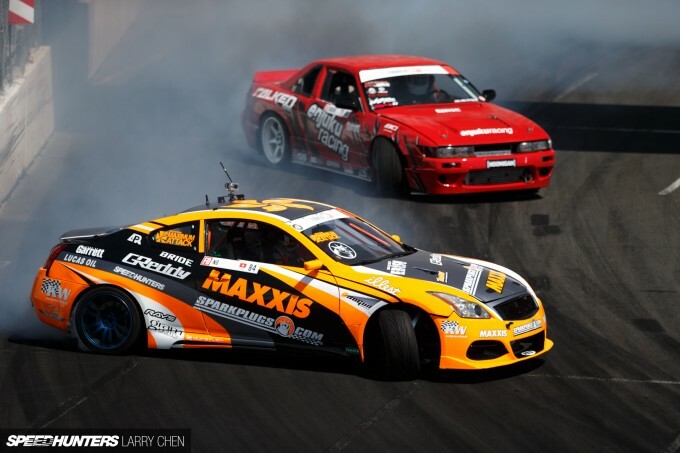 Over the past couple of years it’s become more and more popular for car manufacturers to use drifting as a promotional tool, and I am very glad to be part of it. 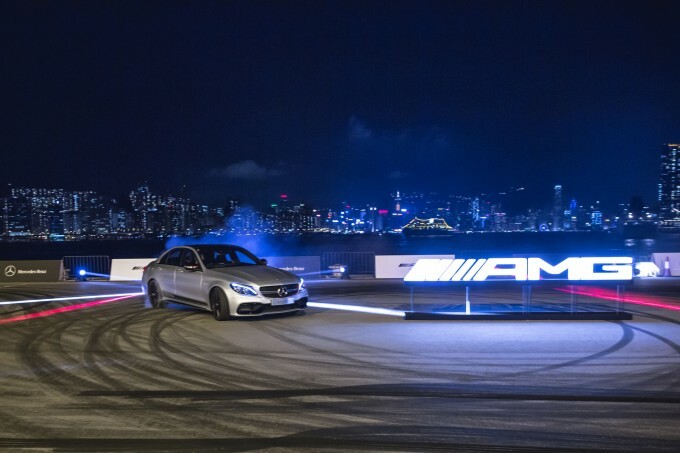 Just a few days before Atlanta I was in my hometown of Hong Kong doing a drift demo for the new Mercedes-AMG C63 launch. You can check out the official video from the launch by pressing play above. 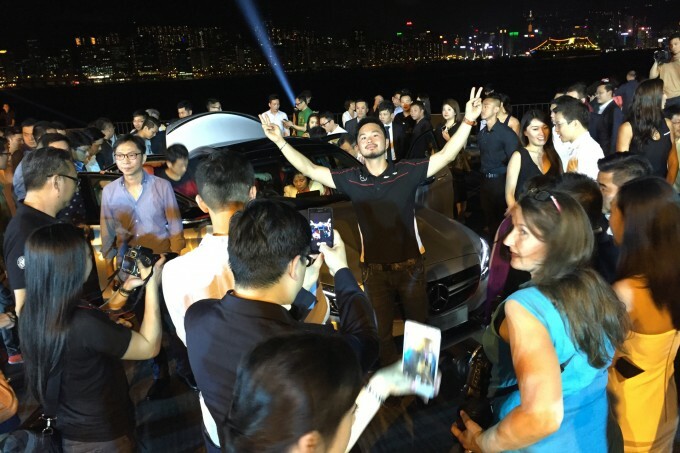 It was an unprecendented event with lots of media attention in this part of the world. 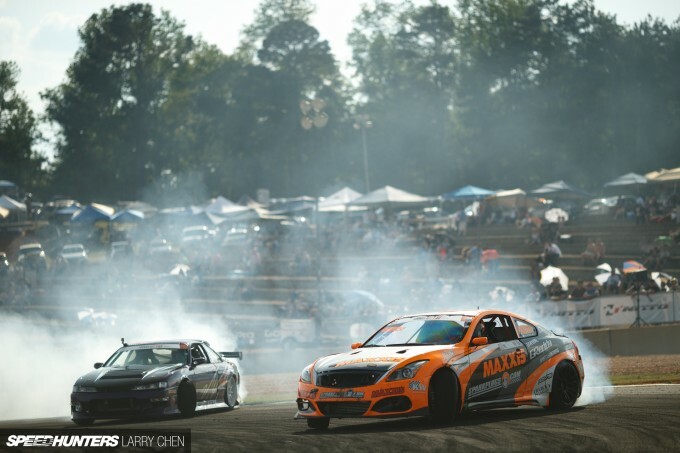 Never could I have imagined that drifting would play such an important role in a launch event like this. any more info on that g37? I'm actually quite surprised on the engine choice , hopefully you can do better now ! Does AMG end up giving you a E63 for the rest of the year to help promote it for groceries etc? 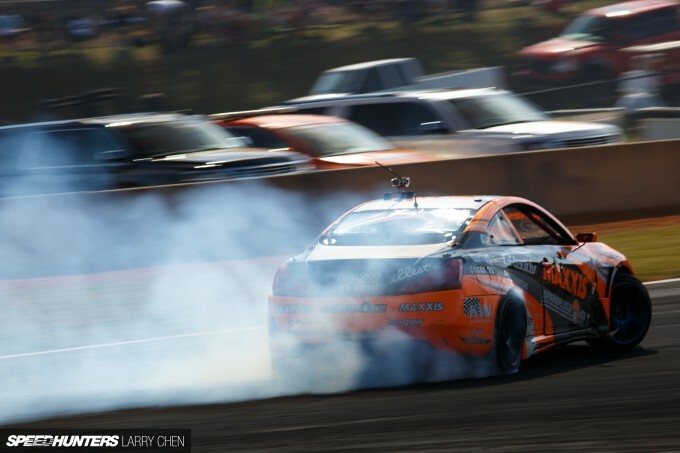 I've always liked the G37, stoked you went back to a Nissan motor!! 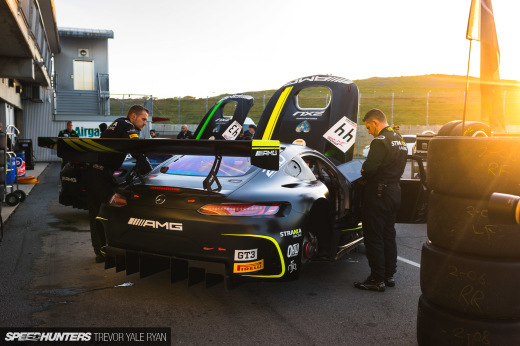 And I agree, the sound is one of the coolest on the grid this year! 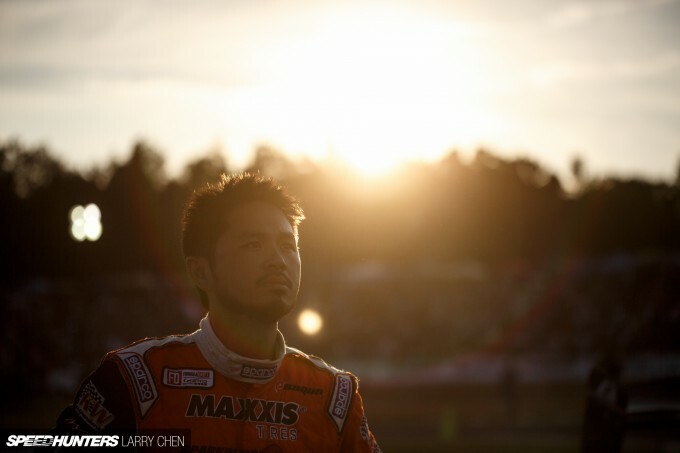 Before the start of the season, there were rumours that Kumakubo and Naoto Suenaga of Team Orange were going to compete in FD. 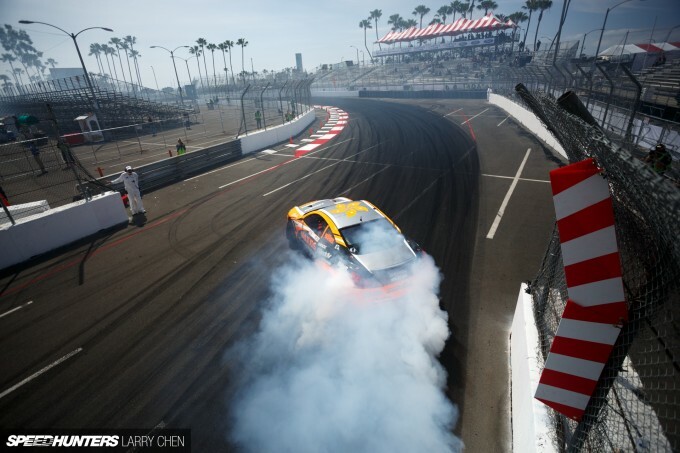 Kumakubo was also trackside at Long Beach. What ever became of this rumour? Is it still a possibility...maybe next year? 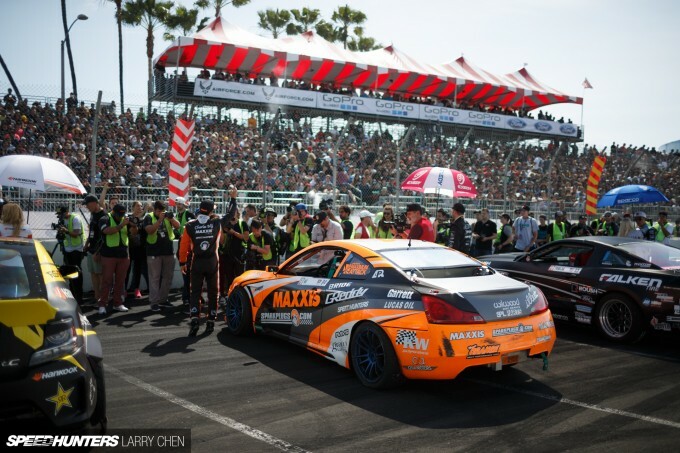 Twitch_6 Kuma-san and the boys came to support me at Long Beach, which was an honor ofcourse! They always have plans on coming over and I will do the best I can to help them with whatever they need stateside. I am planning on doing World as long as schedule is allowed, and yes I have a few cars to choose from Thanks for the support! psikyo What would you want to know? stay tuned for engine featuring soon. 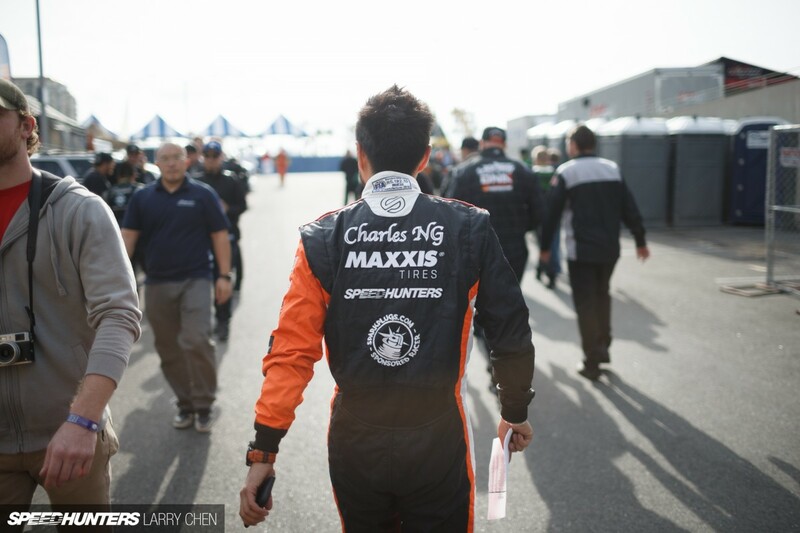 Keep fighting Charles!! That podium is within reach! 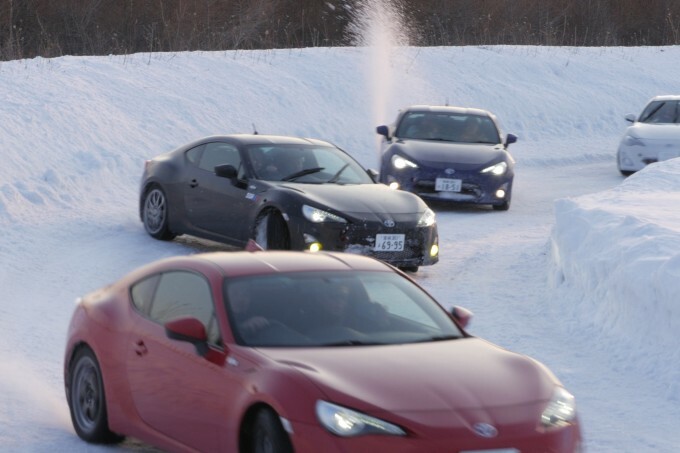 Winter Driving School looks great perfect choice of car too! Looks a little bumpy though. Is it a frozen lake or a land track?